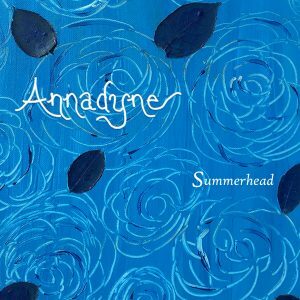 Our new single “Summerhead” was just released this week on Bandcamp! We have made it available on a name your price basis, with no minimum amount. The original version of Summerhead is on the Cocteau Twins album Four-Calendar Café, which was released in 1993. It was a pleasure working on this track, considering we are both big fans of the Cocteau Twins. We are currently working on another Cocteau Twins cover, so stay tuned for more! Not Only on 87.7 FM Radio Air Libre in Brussels, Belgium. Not Only is an open-minded radioshow, playing everything from electro-pop to the most brutal metal you’ve ever heard. Each Tuesday from 6 to 8pm (CET) on Radio Air Libre, Brussels (87.7fm). Hidden Forms Radio on WNUR 89.3 FM in Chicago, USA. Hosted by The Starship. Hidden Forms Radio is Chicago’s longest running Industrial Radio show/ HIDDEN FORMS airs every Saturday, 6:00 – 8:00PM CST on WNUR 89.3FM, and streaming LIVE at WNUR.org. Hidden Forms Radio features the latest and best in Electro, Industrial, IDM, Witch House, Synthwave, and everything in-between. Shimmer – Shoegaze and Dreampop Dance Night in Chicago, USA. Hosted by DJs Scary Lady Sarah & Philly Peroxide. Shimmer is an evening devoted musically to shoegaze, dreampop, psych, drone, ethereal, space rock, nugaze, electrogaze, chillwave & more. Sanctuary – Dark Music and Gothic culture E-Zine in the Czech Republic. Author, Ash. CZ Sanctuary is the eldest active gothic webzine in the Czech Republic, founded in 2004.